There is a tiny neglected park in the north end of Tacoma, Washington overlooking Commencement Bay. It is just large enough for a small overgrown garden, a park bench, and the reason for the park’s existence, a stele, commemorating the site of Tacoma’s first public library. 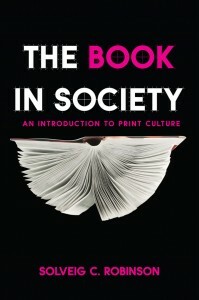 I had just finished reading Solveig Robinson’s The Book in Society, an introduction to print culture. As I sat on the bench, looking out over the water towards the Cascades, I contemplated how something as monumental as a library can be so transitory. But when one considers the fragility of a book, perhaps it’s not as difficult to comprehend. Indeed, it becomes easier to wonder how books came to exist at all. Most of us take books for granted. They are so ingrained as part of our society, it is difficult to imagine life without them, or that how we live is directly influenced by them. Conversely, society has an equal role in its influence on the books themselves. 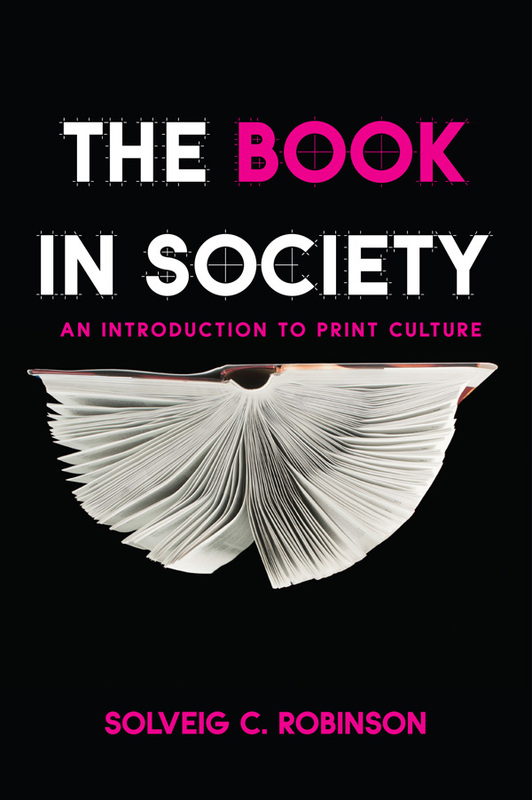 Solveig Robinson’s work, The Book in Society, explores both aspects as inextricable. In journeying through the history of the book, she takes us from the history of writing by the earliest civilizations, to illuminated manuscripts, on to the invention of movable type, and finally, the arrival of the modern book as we know it. We find in not only Western society, but in Islamic culture and other societies across the globe, the path was not as straight forward as we might have thought. Interwoven into the coming of the book are the roles played by writers, artists, patrons, printers, publishers, editors, ad execs, booksellers, governments, censors, libraries, book fairs, and of course, the advent of perhaps the most important requirement for a book’s existence, literacy itself. Written in a narrative style, Solveig Robinson weaves a story about the history of the book in all of its aspects from humble beginnings on clay tablets, to the mass produced pulp fiction of today. Woven throughout the book are fascinating stories which make the book even more enjoyable to read. Throughout history and even in certain societies today, people are put to death for what they write or publish. As I look at my personal library, Solveig Robinson’s work The Book in Society makes me appreciate it that much more.